Tail Rubbers. Discounts Apply ! Tail rubbers are pushed over the lead clip to prevent the weight from being discharge under normal use. They are also used with silicon tubing to hold it in place. 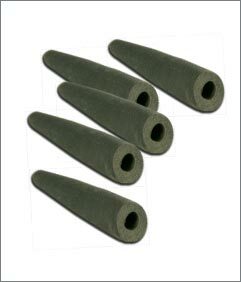 Tail rubbers are also used with “the method feeders” as well as in-line leads.